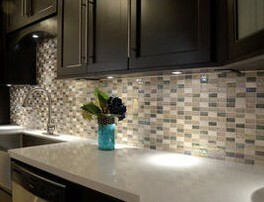 position: Home >> News >> How to Choose the Proper Tile for Your Kitchen? How to Choose the Proper Tile for Your Kitchen? There are certain parameters that you need to consider while selecting the right kind ofs for your kitchen . Remember there are different types ofs available in the market. However you need to choose the perfect tile that will offer you a unique blend of elegance and modernity. They differ in quality and design. But, you have to pick up the one that suits your purpose the most. Here are the top six tips that will help you to find the perfect tiles for your. The first thing that you should consider while making the choice is the quality. You should always go for tiles that have an elegant look as it will allow you to spruce up your room decor. Be it the flooring, cabinets, counters as well as other portions of the kitchen, make sure that you select a marble tile that matches the interior of your house. Durability is certainly one very important factor to look for in the kitchen floors. This is because the floors will have to withstand the spills, wear and tear and above all a heavy traffic every day. Naturally, it is important that the marble is durable enough to withstand it and keeps on looking beautiful over the years. Therefore, this is something to look out while choosing the kitchen tiles. Color is yet another factor that should be taken care of. Different shades have different impression and they harbor different feelings as well. Thus, the darker shades create a sense of warmth and intimacy; the lighter shades, on the other hand, builds up an atmosphere of light and space. Moreover, thes with light colors like white or pale cream suit well with the wooden cabinets. However, if the marble is to endure heavy traffic every day, it will be better to choose the darker shades. In that case, the dirt will not show up. Be careful not to choose a marble that is extremely dark as it will have an adverse effect and the dirt will show up again. All these considerations need to be kept in mind while making a purchase.